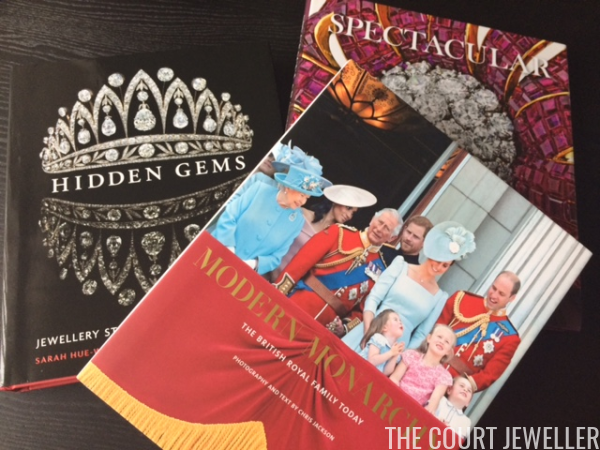 I get lots of emails asking for suggestions for gifts for royal jewelry lovers, so today, I've got a roundup featuring a trio of excellent (and affordable!) coffee table books perfect for the magpie on your gift list! 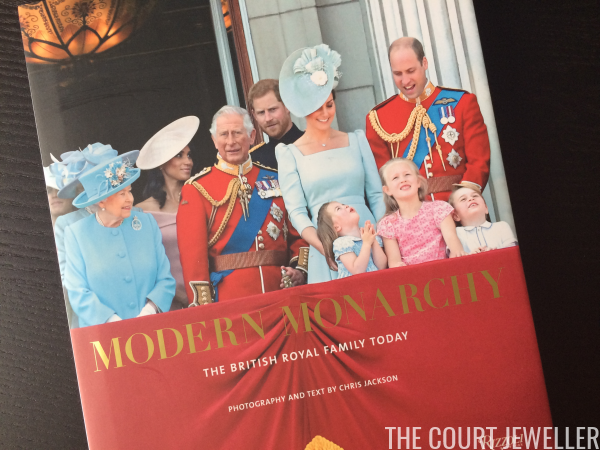 The newest book on the list is the gorgeous Modern Monarchy from one of my favorite royal photographers, Chris Jackson. (You'll have noticed his images featured regularly here at The Court Jeweller -- I'm always so thankful to be able to license his work!) Published this autumn, the book is brand-new brain candy for royal watchers, including images featuring the newest royal kids and the family's newest American duchess! Photography is the most important and best feature of this book, and you'll likely find images that are both familiar and new to you. 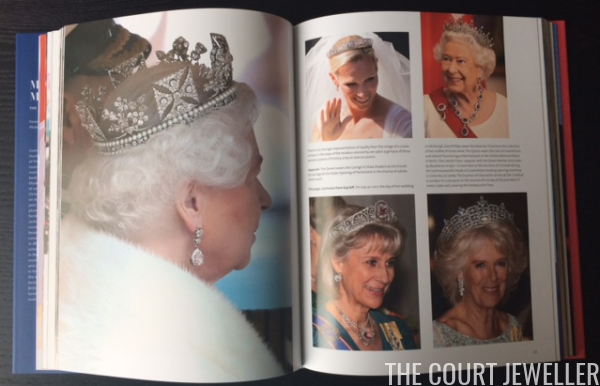 While royal jewels aren't the sole focus, you'll see lots of pictures of sparkling pieces within its pages. The printing is high quality, the images are sharp and professional, and the entire book is just a joy to leaf through. 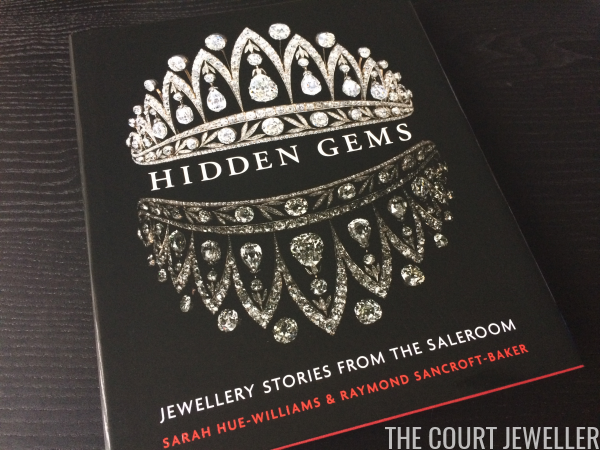 If you're looking for a bit more jewelry information, Hidden Gems is a fun tour through the world of jewelry auctions, courtesy the people who worked behind the scenes. The writers let you in on the secrets of appraising and selling magnificent jewelry, including pieces that belonged to royals and celebrities. 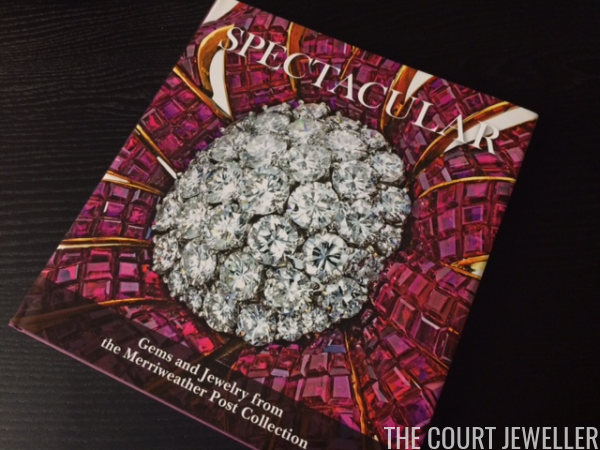 Produced to accompany a major exhibition at Hillwood, the famous estate of Marjorie Merriweather Post, Spectacular is a fascinating look at one of the most interesting private jewelry collections ever assembled. 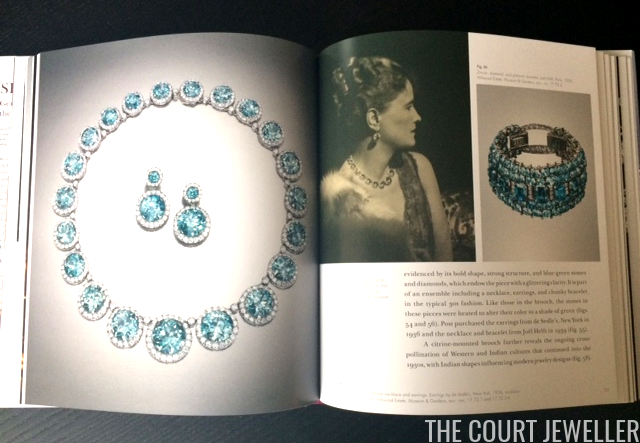 You'll learn about Merriweather Post's life as well as the wonderful cache of jewels she amassed over her life. 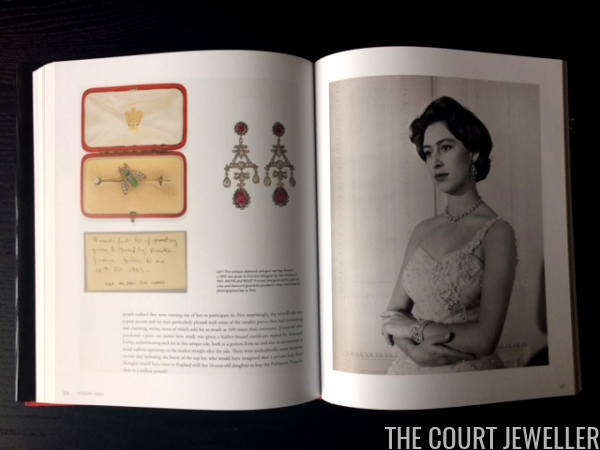 Are you hoping to find any royal jewelry books in your gift pile this holiday season? Note: Some links on this website are Amazon affiliate links. I put all money that I receive from these affiliate links back into materials for review on the site (including the book discussed in this post), so if you want to read more reviews, please consider purchasing items through the affiliate links in this post and throughout the site. Thanks, everybody!